Gloucestershire County Council is making a bid to government this month to fund a multi-million pound investment in a new junction 10 on the M5. The funding would provide a new all-movements junction giving access from the motorway both northbound and southbound into Cheltenham. This would support areas identified for housing north and west of Cheltenham by district councils, as well as employment land to boost economic growth and provide more jobs. A new junction would also help improve the local road network for the benefit of the entire county. The new junction would mean that those travelling south from north west Cheltenham would be able to join the motorway without travelling across the town to junction 11; reducing congestion, and improving journey times. The town’s environment would also receive a boost as traffic would be reduced on unsuitable urban roads. The exact location of the new motorway junction will be determined once traffic modelling and detailed assessments of the options are completed. The bid to Homes England’s Housing Infrastructure Fund was submitted last week and the result is expected later in the summer of 2019. If successful the council will be pressing on rapidly with the design of the new road and motorway junction with the new junction scheduled to open in 2024. 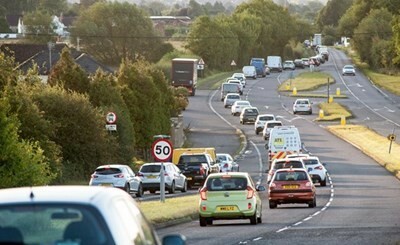 Cllr Mark Hawthorne, leader of the council, said, “Gloucestershire is doing its bit to cut congestion in Cheltenham and support the district councils with their housing plans. If we are successful, this would be the largest and most ambitious road infrastructure project that we’ve ever taken on.